Although often perceived as a threat to traditional industries, automation can actually empower artisans to have greater control over skilled manufacturing processes and enable improved product quality. 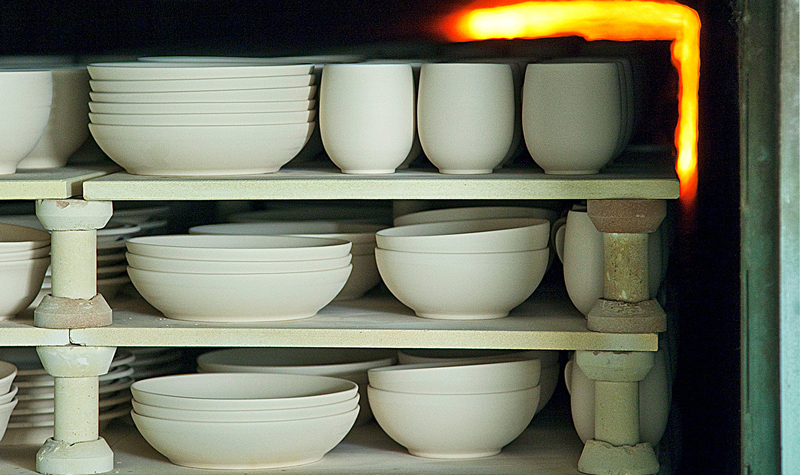 When Denby Pottery, a premier producer of handcrafted tableware, looked at refurbishing its process control systems it turned to Mitsubishi Electric’s distributor BPX to provide a reliable and well-connected solution to efficiently monitor, control and improve their clay production line. Mitsubishi Electric’s solution since being implemented has dramatically reduced down-time and improved the quality of customer’s clay processing. Denby Pottery has been designing and crafting tableware, cookware and serveware for over 200 years using clay as its starting substance. Clay is a raw material that can vary greatly from one batch to another. It therefore requires the plant operators to have a comprehensive understanding of the clay’s physicochemical properties to accurately control the process parameters and obtain a high-quality output. In addition to addressing issues with the previous control system, Denby Pottery wanted to embrace the principles of modern Smart Manufacturing to gain greater control over its production materials, processes and machines. 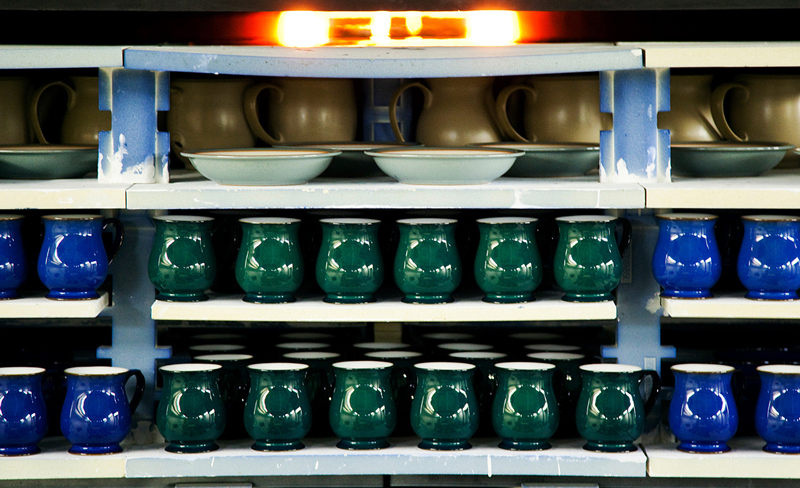 In particular, Denby Pottery wanted to measure clay quality attributes ‘on the fly’ to fine-tune the manufacturing process in real-time and thereby improve the quality consistency of the clay. The solution to address all these challenges came from Mitsubishi Electric and their technical distribution partner, BPX. The initial installation of a fibre optic network opened a wide range of opportunities for Denby Pottery to monitor and control their manufacturing materials, processes, machines and full production lines. Improved machine communications enabled greater control over the clay manufacturing processes, easy interaction between the processes and identification of any equipment malfunction. The machines on the production lines were equipped with Mitsubishi Electric MELSEC NET H Remote I/O Nodes connected to a Qn Series dual redundant PLC system – linked, in turn, to three Mitsubishi Electric GOT2000 Series Human Machine Interfaces (HMIs). The HMIs were installed to monitor different areas of the factory and report to a central Mitsubishi Electric Manufacturing Execution System (MES) Interface within the engineering department. By using the MES Interface Module and the Virtual Network Computing (VNC) Viewer functionalities of the GOT2000 HMIs, the operators can now remotely control and monitor the production line and obtain data on the Overall Equipment Effectiveness (OEE). Another useful VNC server function allows the plant operators to view and operate the GOT screens remotely and securely from any connected mobile device or PC. The resulting decentralised control system simplifies maintenance and operation of the plant with the facility to securely programme from remote locations by the HMIs interfaced to the Qn Series controllers. 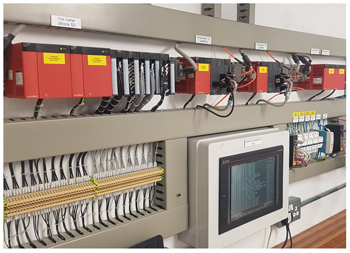 While the replacement of the legacy control system addressed the reliability issues of the plant, the dual redundant PLC system was selected to increase the system robustness by providing a highly reliable solution. The standby system with its own CPU, fully synchronised to the controlling CPU during operation, can mirror the controlling CPU and instigate a seamless bypass in the unlikely event of failure of the main CPU, further minimising any risk of plant downtime. Tyler Hatton, Denby's Automation Manager added: "The versatility of the system has allowed us to expand into OEE machine monitoring on various pieces of equipment and machinery. This is helping us highlight problems and improve efficiency throughout the factory. The support given during this project from Stephen Thornton, Mitsubishi's key account manager, along with Mitsubishi as a whole, has been second to none and has helped us to surpass our original project expectations." To put the icing on the cake, Mitsubishi Electric, BPX Electro Mechanical and Denby Pottery completed the replacement of the legacy control system six months earlier than anticipated and under budget. Are we over-complicating a simple idea? Can an automation system be more than just the sum of its parts?